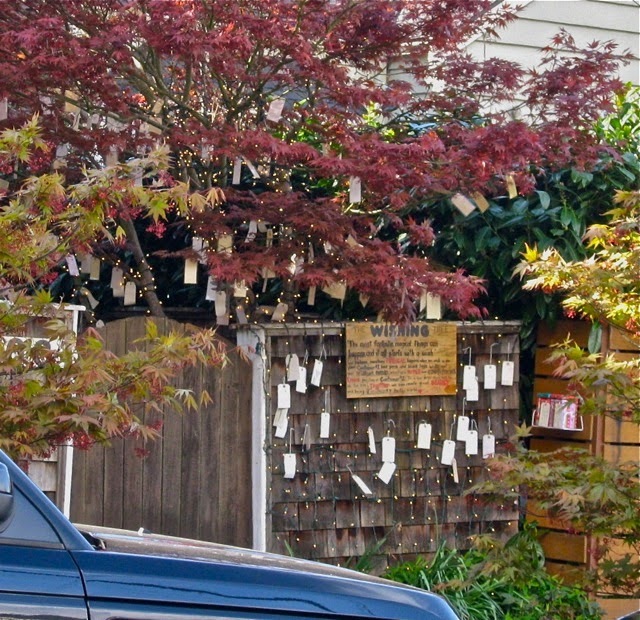 In my car, running errands, I often pass a house with a lovely Japanese maple in the front yard, decorated with little white lights and what look like tiny prayer flags. After noticing this for several weeks and wondering what all the little tags are for, I decided it was time to get out of my car and walk over to find out. The Wishing Tree. "The most fantastic, magical things can happen, and it all starts with a wish." We believe something Magical happens when we wish in one place. Container #1 has pens and blank tags. Write out your Wishes, Prayers, Intentions, Hopes and Gratitudes. 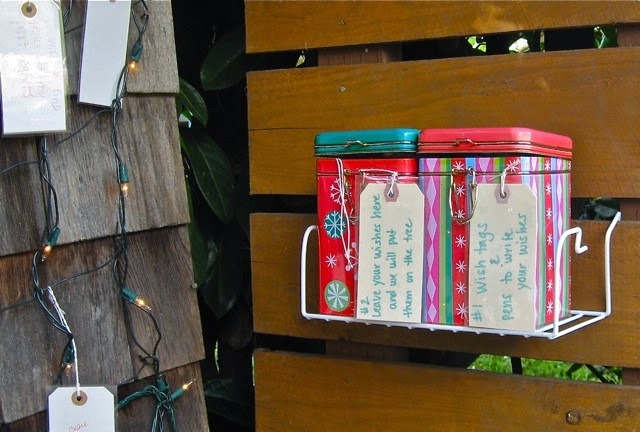 Leave your tag in Container #2. In a few days, they will be on the tree! TOGETHER we can create great BEAUTY and bring KINDNESS to the world. "Some of the wishes are just heart breaking :( ... And some are so beautiful and heart warming. I'm glad there is a place people can leave all their hopes and dreams and thoughts and prayers." Here area few of the Wishes I found there. "God take care of my Brother. Amen." "I wish to find peace with my past regrets." "I wish my daughter's brain condition would get better." "Please may there be peace in Syria." "I wish my husband can find a job where he can be happy and successful." "I wish for the growing baby in my belly (10 weeks) to be happy and healthy." And in what appears to be a child's handwriting, "I want a unicorn. Thank you." 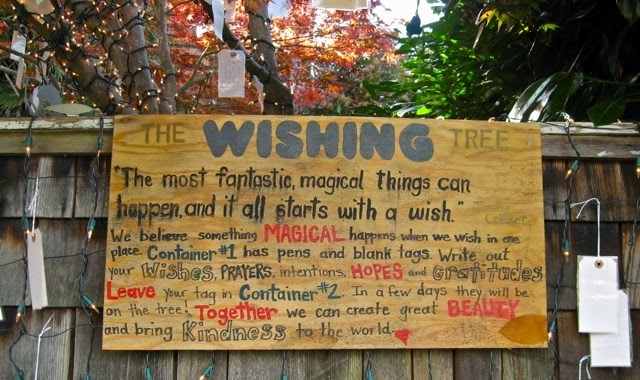 If you happened one day to come upon a Wishing Tree in your neighborhood, what would YOU wish for?